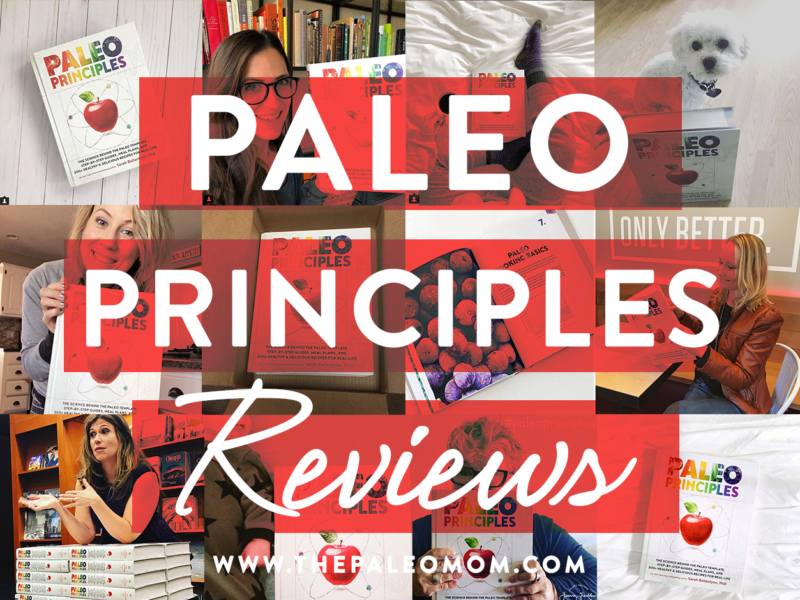 Home » Blog » The Reviews are in on Paleo Principles! 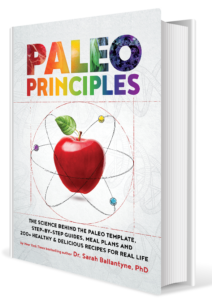 Writing Paleo Principles was simply an amazing experience. 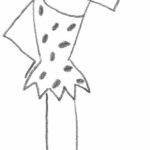 I didn’t take lightly the task of legitimizing the entire Paleo movement with scientific evidence (hey, I like to set ambitious goals, okay?!?) while creating the most comprehensive one-stop-shop Paleo resource to date. 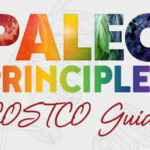 As I joked on book tour, I didn’t actually set out to create the heaviest Paleo book to date, it just so happens that when you combines the entire scientific foundation behind every facet of the Paleo diet and lifestyle, tons of visual guides and practical tips, 220 recipes and 20 meal plans, the result weighs 6 pounds! LOL. But, I do have to say that it was such a fulfilling process to create this book and I learned so much in the 14 months of writing. If only a few people read and loved Paleo Principles, that would have been enough for me. Luckily, I didn’t have to settle! Thank you to everyone who has taken the time to post a review on Amazon.com and BarnesandNoble.com. 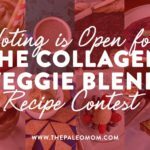 Your reviews help increase the visibility of the book and grow the Paleo movement, and I read them all! One of the best parts of releasing this book was the book tour, which took me to seven cities across the country. I had SO much fun meeting you, hugging you and answering your questions. I got to hear how Paleo and AIP have changed lives, and I will store up those precious memories as inspiration for years to come. Thank you! Before I get to “what they’re saying,” I have to reiterate just how grateful I am for this community of thought leaders, writers and amazing cooks. These reviews mean so much to me because they come from the peers I respect so much. I am truly honored by them. 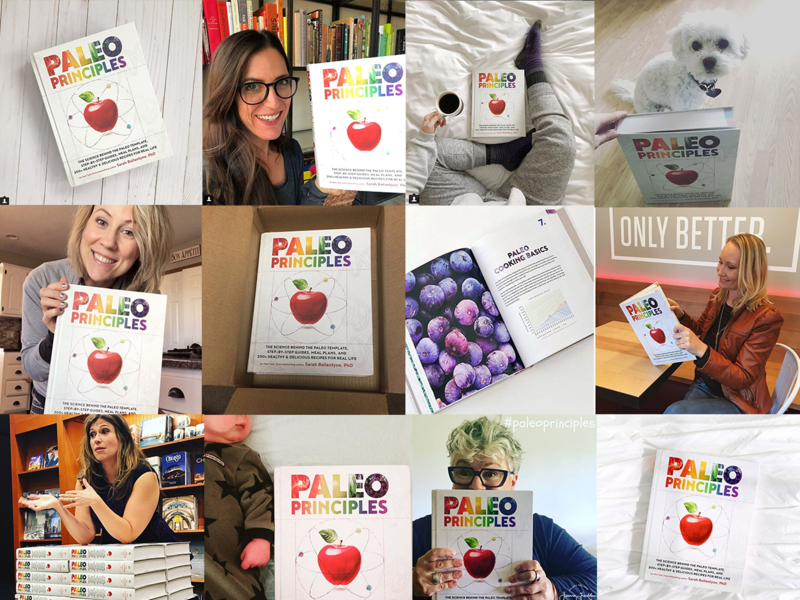 Remember, if you haven’t picked up Paleo Principles yet, it is deeply discounted on Amazon and can be found at all of the following retailers! We all thought her first book, The Paleo Approach was incredible (and many of us, including me, are healthy today because of it! ), but Paleo Principles is simply the most impressive book we have ever seen on nutrition and lifestyle science. Not only does it contain a thorough scientific discussion of every tenet of ancestral eating and lifestyle, but it contains everything one needs to implement them, as well as over 200 recipes. It is the new go-to resource for anyone looking to learn more or get started with a Paleo lifestyle. Read full review here. 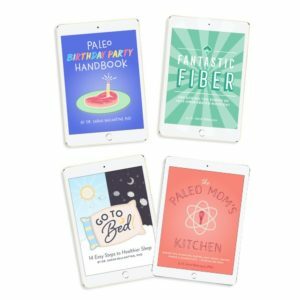 I love that it is focused on educating about Paleo as a whole, because many of us who are AIP now will transition into regular Paleo, or some form of it – remember, AIP is not meant to be forever. This is where the name comes from. It’s NOT a book of Paleo “rules.” This book is not here to tell you what to do and not do. It is here to educate you about the foods that are considered Paleo and the ones that are not. It is here to educate you why some Paleo foods are better eliminated for the AIP version. It also dives into some of those middle-ground controversial foods like grass-fed dairy, legumes, potatoes, alcohol, rice, chia, flax, and psyllium husk. This book is here to provide the science for you so that you can make the best decisions possible on what dietary choices may be best – including those “middle-ground” maybe Paleo, maybe not foods. Read full review here. The text is imminently readable and the layout and graphics are (okay, I know this is going to sound overwrought)… perfect. Really, the layout of this book is as close to perfect as I’ve ever seen. And it’s a delight to read. 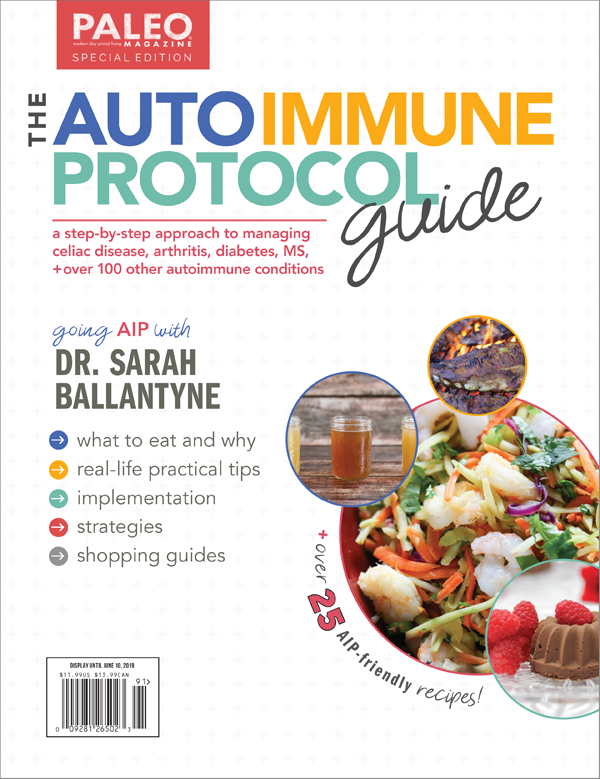 It is still bursting the latest science (as we’d expect from the inimitable Dr Ballantyne), but all that science is presented in such a warm and approachable way, that I almost feel like Sarah is right there in the room with me. Read full review here. If you have seen Sarah’s other books, then you know her skill at making science and biology approachable and easier to understand. Paleo Principles is no different, and there are a ton of helpful info-graphics to keep even kids engaged. It’s definitely a textbook – if only all textbooks were so fun and easy to read! Read full review here. It is FULL of incredibly helpful and critical information about the Paleo Lifestyle and focuses not only on the framework of the diet but the rationale & science behind the framework, including Nutrient Density, Macronutrients, Avoiding Toxins, What to eat & why and even delves into topics which haven’t yet had the science solidified and if I know Sarah she will be providing revisions as the science debunks or confirms hearsay. Watch and read full review here. 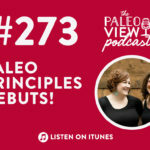 In her trademark style – scientific accuracy meets practical day-to-day life – Sarah Ballantyne has bestowed upon us her newest book, Paleo Principles. This detailed tome is a comprehensive resource validating the Paleo diet and lifestyle as a health-promoting and sustainable way of life. Enter the giveaway and read the full review here. Don’t let the word “science” scare you. 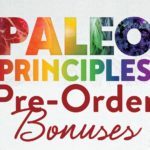 Yes, Paleo Principles is jam-packed with science, but Dr. Ballantyne has managed deliver this material in a way that’s extremely accessible to the majority of us who aren’t scientists. One brilliant tactic she uses is to scatter text boxes throughout the book, titled “Science Simplified,” “Health Quick-Start,” and “Knowledge Bomb.” These inserts contain straightforward, to-the-point summaries, fun facts, or recommendations relating to the topic being presented so if you’re not following 100% or your attention span is dwindling, these supplements will keep it simple and tell you exactly what you need to know! Read full review here. 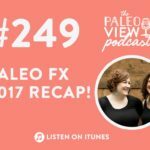 TPV Podcast Episode 249, Paleo FX 2017 Recap!